Bike racing isn’t just for big kids and adults anymore. Have you ever heard of toddler racing? If you haven’t I suggest you youtube it right now. It’s one of the cutest little things you’ll ever see. Kids between the ages of 3 and 5 hop on their Balance Bikes and compete for the gold in a short distance race done completely on their run bike. Although at the end of the race it isn’t about the medals, it’s about the experience and the gratification kids feel when they make it to the finish line. There are massive amounts of support not only from parent’s and family but also from one child to another. These Balance Bike competitions are held worldwide and are becoming quite popular amongst both children and their parents. Kids who start competing at a young age develop self-esteem and self-efficacy as well as social skills. They are also more comfortable in crowds and develop valuable social skills from interacting with other kids. If you aren’t already familiar with the term “Balance Bike” let me fill you in. A Balance Bike is a small bicycle without pedals that helps children learn how to ride. You may be asking yourself “what’s the point of a bike without pedals”. I am here to give you the answer. The only difference between a Balance Bike and a bicycle is that on a Balance Bike, a child will walk or run instead of pedal. Walking and running will eventually turn into gliding, therefore, balancing. This skill is the hardest one to master learning to ride. On a Balance Bike, kids get a jumpstart on learning how to balance and struggle less on a bicycle. Training bikes that have pedals, such as training wheels or tricycles, give children a false sense of balance. While riding one of these bikes, kids don’t have to worry about trying to balance because they rely on their bike to do it for them. If a child learns to ride using a pre-balanced bike, they’ll struggle when making the transition to a bicycle. However, if a child learns to ride on a bike that puts them in charge of balance, that transition will be almost effortless. Balance Bikes are also easier to ride than alternative training bikes. They are smooth and won’t get stuck on bumpy roads or gravel; they also have no trouble turning corners. These are challenges that arise every time while riding with training wheels. 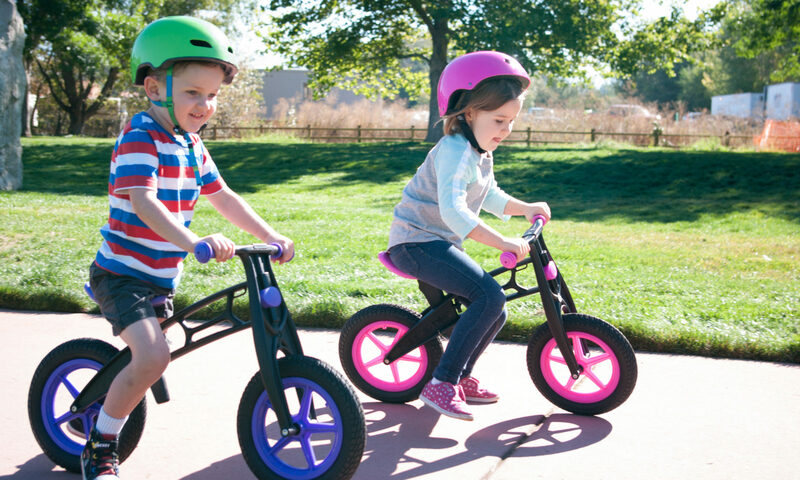 Balance Bikes are also lightweight and easy for kids to control. 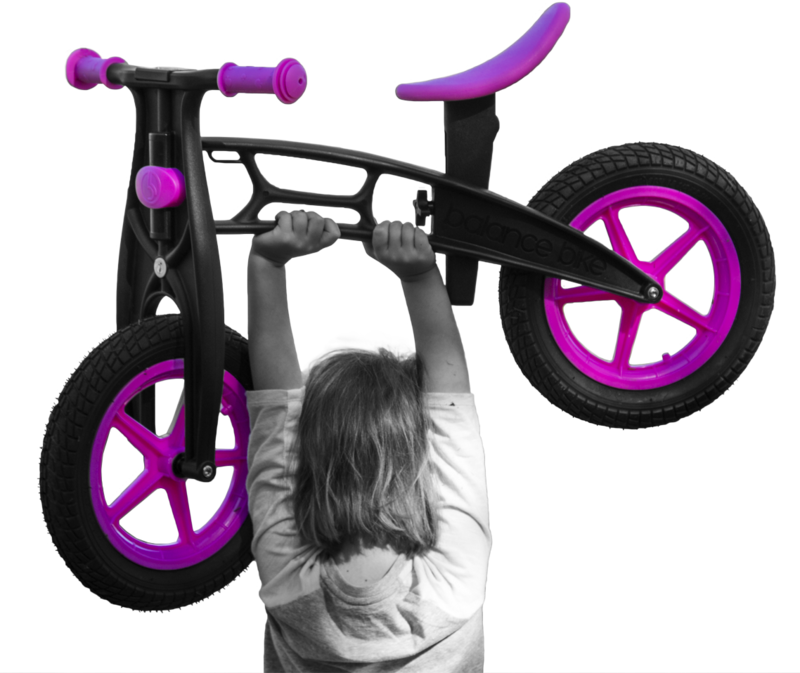 There are so many benefits of choosing a Balance Bike for your child. They are safe because they allow the child to be in control of all aspects of riding. They are the fastest way to transition a child to a regular bicycle (that’s the ultimate goal, right?) and they are unbelievably fun to ride. It’s amazing to see the difference that a Balance Bike will make in any children’s learning experience. Plus, kids can sign up for toddler races when they get one! Balance Bikes can be purchased through our online Balance Bike shop, or at select retail and grocery stores. They come in plastic and metal styles and in seven different colors. There are tons of options so every child can find one that they love. Metal Balance Bikes sell for $69.99 and plastic Balance Bikes for just $59.99. Get yours today!